As cellphones continue to make traditional payphones obsolete, New York City aims to usher its 11,000 payphones into the modern world. It often feels like almost everybody carries a smartphone around now, and even those who do not generally own a cellphone of some sort. There’s even a phone specifically designed to provide ease of use to seniors who might otherwise struggle to keep up with the constant, fast-paced shifting of modern technology implemented by smart and feature phones. 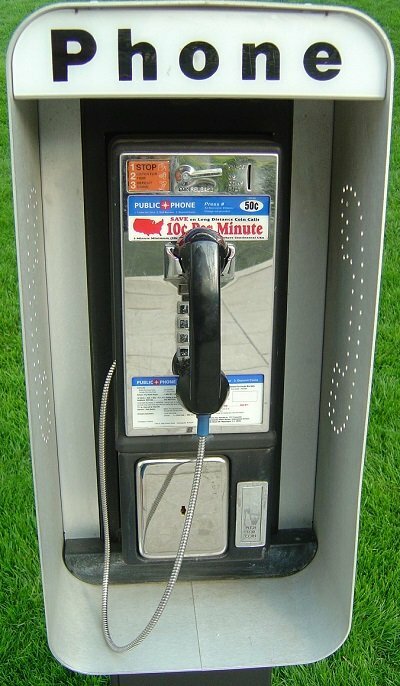 The fact that New York City still employs 11,000 payphones might then seem a bit odd—a carryover from more archaic times when Michael Jordan and Bugs Bunny teamed up to pitch the financial virtues of calling collect—but the contract which put the majority of those public handsets in place was inked just over a decade ago, in 1999. Now that contract is about to expire, and Mayor Bloomberg is looking for ways to modernize the city when it does next October. After reviewing 125 designs which came in from the Reinvent Payphones Design Challenge launched in December, 11 semifinalists were presented before a panel of judges last week. Former United States Deputy Chief Technology Officer Beth Novec; Nancy Lublin, CEO of DoSomething.org; Majora Carter, founder of Startup Box; Ben Kaufman, founder of Quirky.com; Jason Goodman, CEO and co-founder of 3rd Ward, and others evaluated the proposals based on five parameters: connectivity, creativity, visual design, functionality, and community impact. From the 11 options on the table, the panel narrowed its selection down to six finalists, which are being put to a vote on Facebook. Residents and commuters are being asked to pick their favorite between the NYC Loop, NYFi, NYC I/O, Beacon, Smart Sidewalks, and Windchimes. NYC Loop offers an archway which can be decorated and tailored to local surroundings on the exterior, and an interior bearing a smart screen to make calls or interact with a person’s own portable device. The Loop would also be powered by pressure plates which convert the kinetic energy of pedestrians into electricity as they walk by. NYFi would provide a sleek, interactive touchscreen as well as a payphone and overhead LED. NYC I/O aims to make real-time data relevant to commuters easily accessible, while also offering commercial apps and messaging services. Beacon is designed to be as hygienic as possible: using voice commands, motion gestures, directional microphones, and noise-cancelling speakers so users do not have to come in physical contact with the unit in order to use it. Smart Sidewalks’ goal is to jam as much functionality into as small a space as possible; charging ports, Wi-Fi, and an interactive touchscreen are packed into a 6” thin strip rising up from the ground. Windchimes is designed to measure the city’s rain levels, pollution, and other environmental conditions at a hyper-local level, and to make that data easily available to the public. You can learn more about the six finalists and vote for your favorite on the Reinvent Payphones Facebook app before the vote ends at 5:00 PM on Thursday. The winner of the poll may not be the design which the city ultimately adopts next year, but the results will be carefully considered in making that decision. Subject: LongIsland.com - Your Name sent you Article details of "NYC to Redesign Payphones, Asks Facebook to Help Select Winner"